Your children and their education are important to you. 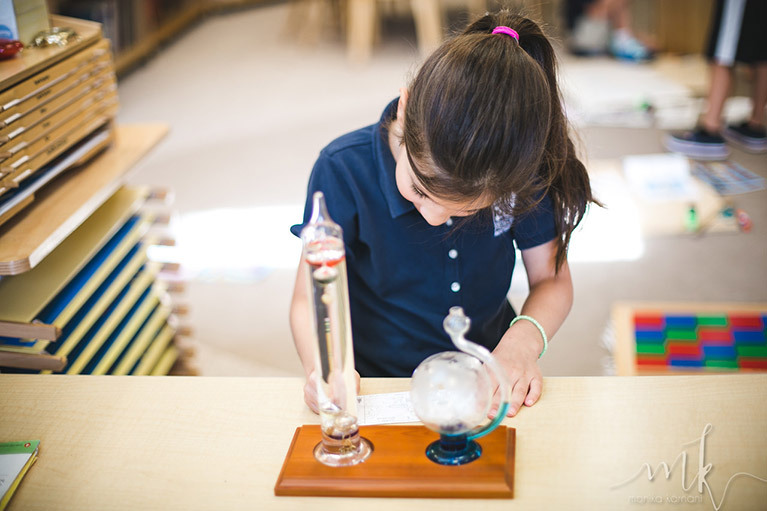 Selecting a school that can help them build toward their future and reach their potential is essential, which is one reason why the Montessori method attracts parents. An estimated 300 new public Montessori schools have opened since the year 2000. However, even though Montessori schools share a common philosophy, not all programs are the same. As with any important choice, a list of vital criteria on which to base your decision will guide you through the process. Here are a few things to consider as you choose the right Montessori school for your family. 1. Is it officially recognized? The AMS (American Montessori Society), NAMTA (North American Montessori Teachers Association) and IMC (International Montessori Council), for example, offer accreditations and membership affiliations. Although being unaccredited by these or any other organization doesn’t mean the school isn’t a proper Montessori program, its credentials bear consideration. Schools should be licensed or approved by their state, and it is important to know if the license is up to date before sending your children there. 2. When you visit the school, is there a true Montessori environment within its walls? Is the furniture in the classroom the appropriate size for the students who will be learning there? Are there tables, as opposed to desks, that are suitable for use by individual children or a few students at the same time? Do the classrooms have open floor space available for promoting hands-on, spontaneous working? Are the floors clean and tidy? Do the class materials accommodate multiple modes of learning, and are they made of natural materials, such as wood, glass or metal? Are they readily available for the children to use? 3. If you are able to observe a class in progress, how do the children learn? Do the children choose how they learn, or does it appear that a teacher is providing all the information the children are supposed to learn? Self-directed activity is a key to the Montessori philosophy, and it should be nurtured in the classroom. A child may choose to select a project and spend only fifteen minutes at it, or choose to spend an entire morning working on something until they feel they’ve mastered it. So, be sure that a school offers freedom and individualization. Also consider this: As the children learn, do they appear to be happy and enjoying themselves? 4. What ages do you find in each classroom? Are the children split up in grades, such as first, second and third, or does it appear that the classes are comprised of mixed ages? In an authentic Montessori classroom, children who are three-, four-, five- and six-years-old learn together in the same classroom. The older students are given the opportunity to share knowledge with younger children, acting as role models and assistants to the adults in the room. Does it appear that the students seek approval and permission from the adults in the room when choosing to transition from one activity to the next? Do they raise their hand, seeking permission, before using the restroom or do they politely and quietly choose to go to the restroom and come back with respect? 5. How do the adults in the room act and react to the children as they learn? Are the adults in the classrooms more like teachers or facilitators? Lessons where the adult in the room spends an hour talking, while the children are expected to sit still and quiet, is not what you’ll find in a true Montessori classroom. Do the adults appear to force learning on children, or does it appear to be organic in nature? Montessori “teachers” choose to keep the focus on the children, mentoring and assisting the children as respectful guides to each individual child’s learning. Choosing the right school for your child is best left up to you, because you know your children better than anyone else. Please consider these tips as you choose what’s best for your child. There are many other criteria that may not be on this list that could be extremely important to your child’s needs, and those would be necessary to consider as well when you choose the Montessori school that is right for you. We invite you to visit Primary Montessori Day School to learn more. Schedule an appointment online or call our office at 301-309-9532.